But on a ship bound for England, Maisie realizes she isn't ready to return. Against the wishes of the captain, who warns her, "You will be alone in a most dangerous place," she disembarks in Gibraltar. Though she is on her own, Maisie is far from alone: the British garrison town is teeming with refugees fleeing a brutal civil war across the border in Spain. Yet the danger is very real. 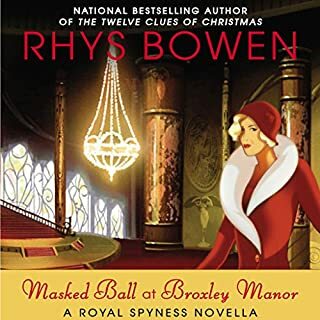 Days after Maisie's arrival, a photographer and member of Gibraltar's Sephardic Jewish community, Sebastian Babayoff, is murdered, and Maisie becomes entangled in the case, drawing the attention of the British Secret Service. Under the suspicious eye of a British agent, Maisie is pulled deeper into political intrigue on "the Rock" - arguably Britain's most important strategic territory - and renews an uneasy acquaintance in the process. At a crossroads between her past and her future, Maisie must choose a direction, knowing that England is, for her, an equally dangerous place but in quite a different way. Like so many reviewers, I have loved Maisie Dobbs! And it seems Jacqueline Winspear knew just how much we all wanted her to find happiness and James. But Ms. Winspear apparently has a more - at least to her - important view of Maisie as a seeker of Nirvana, that place of complete inner peace through ultimate detachment. So we got what we wanted; then she swept it all aside and set Maisie back where she started. A good outcome? This listener is not so sure. An attempt to reboot the series? Or is this a finale? Whichever, this is certainly not a very satisfying chapter. "A Dangerous Place" (really good title, by the way) is sad and slow with a mystery that goes nowhere and a Maisie wallowing in her sorrow while the people she should love (and who love her) wring their hands and wail and wonder what the heck she's up to. She's lost a lot of people she cared about, so it seems she's willfully setting out to lose more. I think our old Maisie would not have left her dear father and her friends in such pain. To say nothing of her readers! The syrupy, oh so sweet and sleepy narration of Orlagh Cassidy just tops it all off as a real disappointment for those of us who have followed Maisie Dobbs faithfully and truly wanted to really like this book. 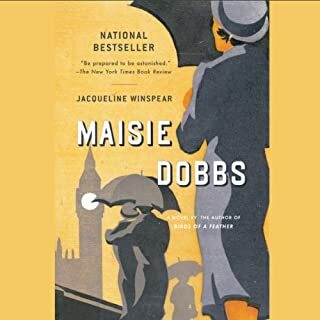 If you haven't read this series, please don't let this be your introduction to and lasting impression of Maisie Dobbs! The first 6-or-so books are really gems. Perhaps I'm getting tired of this series, but it does seem to be getting too syrupy for me. Maisie is too perfect and too all-knowing. The "mystery" was not interesting, and the story is too much a romance of sorts. I waited so long for another Maisie Dobbs story and this one turned out to be so boring and convoluted. I couldn't wait for the ending. 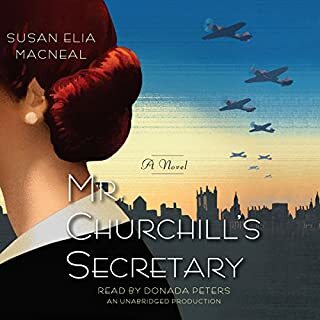 If you are a fan of the Maisie Dobbs stories, my advise is save your credit for another book by another author. P.S. 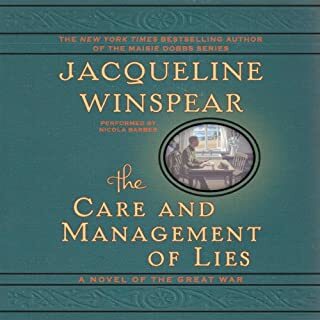 It pains me to write a negative review, I enjoyed most of the Jacqueline Winspear books so very much. Back to the great Maisie books! Fabulous return of Maisie Dobbs. 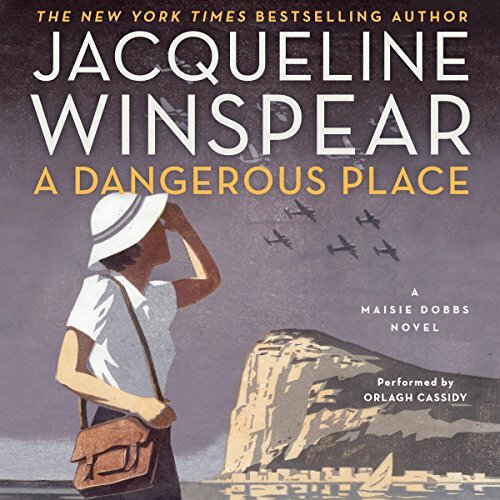 I was disappointed in the previous book so I wasn't sure what a "new Maisie Dobbs series" would be like. From what I've seen in this book, the new series will be great. Maisie can't just sit back and do nothing. Stopping in Gibralter on her way home to England she tries to come to terms with previous occurrences. 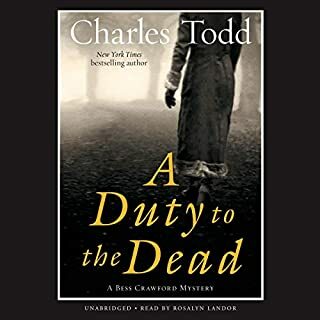 She runs into a dead body, literally, and Maisie the detective is off on the trail. Orlagh Cassidy does a fantastic job with the narration. There were tears and interesting characters, including those from previous books, the Spanish Civil War, murders, and nurses. But Maisie is back and that's a good thing. I have read all of Ms. Winspear's titles, and I must say this was my very favorite by far! The narrator, Ms. Cassidy, made every word delightful to hear, and allowed the story to unfold with such grace and charm!! I SAVORED each sentence, not wishing to miss one single word of this tale. This novel possesses both drama and mystery, with an air of suspense that lingers throughout. I adore Historical Fiction and Jacqueline Winspear is one of the Top Authors in this category. You will NOT be DISSAPOINTED with this book, even if it is your first "Maisie Dobbs" novel. It is clever, intriguing, proper and supremely well written. 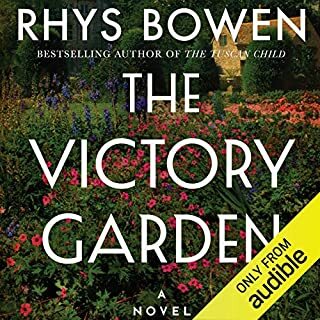 The narration pushes it over the top as a FIRST CLASS AUDIOBOOK. Would you listen to A Dangerous Place again? Why? This book seemed like a transitional book to me. A transition into the time of WWII. A transition from a phase in her life that occurred since the last book. Most of the books were more subtle in Maise's evolution as a character. But like the first book in the series this covered a lot of back story, which I believe was necessary to move on to whatever the next books are going to be. As a result part of the book was about Maise finding her footing. I still enjoyed it. Many mystery stories sidestep personal story by not allowing the character to evolve too much. They stay stuck in their issues. How can an investigator who is also a psychologist not evolve? Especially when the book is focused on her deep understanding of the people she is studying for a given case. Her life and personal healing lead her away from investigation. And now it has lead her back again. I am willing to trust the author and see what happens next. I was becoming a little impatient with Masie in "Leaving Everything,.." Her level of self-absorption was growing by leaps and bounds and she was without real passion for anything. About the closest she seemed to be able to come was a rather tepid love for James Compton, her maternal-ish affection for Billy and her deep dependency on Maurice. which sparked the only thing she seemed truly excited about -- India. So off she goes. It only takes her an entire book to actually leave. Cut to 1937 and "A Dangerous Place." In one fell swoop - a chapter - she has gone to India, come back, gone to Canada, married James, gotten pregnant, been widowed, lost the baby, left Canada, gone back to India and gets off the ship back to England in Gibraltar. Why? Because the entire country of England apparently will remind her of her loss. Does it matter that her aging father and her dear friend Priscilla and others are worried about her? Nope. She's in pain so they can just go on worrying. She just abandons everyone to take long walks in Gibraltar and eat soup. Then she finds a body and decides she just has to investigate. The murder and her investigation were so convoluted, complicated and coincidence-laden that I had difficulty keeping track. I wanted to scream at the snails pace of this book and Orlaugh Cassidy's drawling, sloooow, overwrought narration of Maisie's character didn't help. If you haven't read the earlier books in the series, don't start here. I hope "Return to Munich" (due out in the Spring) snaps her out of this (enough already, Ms. Winspear!) and brings back some of the fire and sparkle of Maisie Dobbs. The story is rich in historical context and Maisie moves through personal changes as she figures out a complex crime. The reader is excellent, though I heard one renumerate when she meant remunerate. Yes. Unequivocally yes. These books were recommended to me by a friend who reads the printed edition. I can say only that I think she is missing some of the impact by not listening to them as well (anyone who has read the Harry Potter books and listened to Jim Dale's narration knows what I mean.) The content immediately grabs your interest and keeps leading you further into the complex experiences of Masie Dobbs. I am gaining more and more respect for Orlagh Cassidy whose narration adds to the emotional connection to the heroine. Most of all, Ms. Winspear is masterful in her presentation of so many aspects of recent history that it creates an atmosphere of actually being there. What other book might you compare A Dangerous Place to and why? It may seem strange, but the combination of author and narrator are so important to me that I can think only of Michael McGarrity and George Guidall association on the Kevin Kerney series. Though the content of the books is completely different, the cohesiveness of the collaboration makes them compellingas does the alliance between Winspear and Cassidy. My tastes in reading materials have become more eclectic because of my devotion to George Guidall’s narration--as someone mentioned in another review, he could read the tax code and I would find it interesting. I can see my interests expanding looking for Cassidy as the narrator. Because of the descriptive narrative and the emotional connection (fear of being discovered) what comes to mind is scene where Masie is observing the nocturnal activities of some of the characters. It may not be a climatic event that occurs in the book, but it generates a mental connection to the complexity of the book. Always, and I have read all of the previous books and Journey to Munich. I can hardly wait to go through the others. But more than laughing or crying, I can identify with the history characterized in such detail. Read them all. I don't usually take the time to offer reviews of my opinion, but I feel very strongly about this series. As always Ms. Cassidy does a superb job delivering the well written pages of Ms. Winspear. As we follow Maisie through yet another difficult transition I her life the author shares with us the history of a time that is often overshadowed by the tragic events to come. The Spanish Civil War of the late 1930's is not often touched on in mainstream world history taught in the US. I was glad to be able to learn more about it through this novel. And as always the author does an excellent job exploring the motivations, fears, joys and sorrows of her characters. I always like to listen as Maisie explores her memories for advice others have shared with her, shaping to her own form of wisdom through her self reflection. It's this process which makes Maisie seem more real to me than characters I've come to know elsewhere. And while there is an overriding sadness that pervades the storyline, I do see a glimmer of hope in the future which will keep me engaged as a listen into the next chapter in Maisie's life.